Knysna Genius G20 - Venture Sport, Inc. 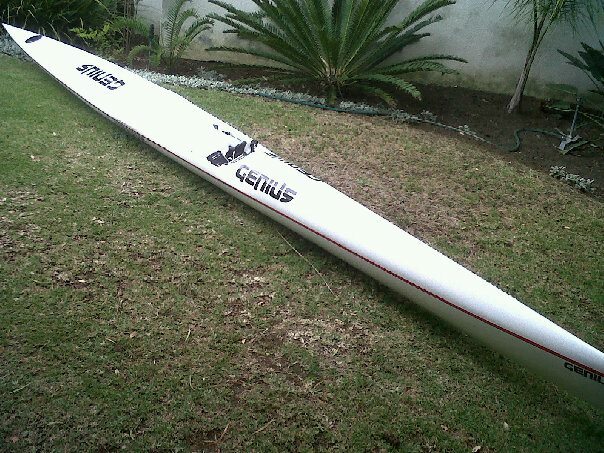 The Genius G20 is a competitive long distance racer, aimed at the smaller paddler (up to 85kg in weight and up to 1.8m in length). The ski was designed on CAD and CNC shaped. Standard features include an adjustable foot rest system, handle and 2L water holder and a carbon kick plate.